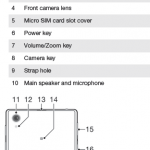 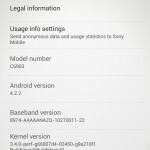 Sony Xperia Z1 is up for pre-order and some folks have managed to get hands on Xperia Z1 and its latest firmware. 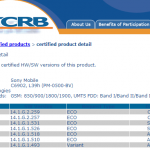 Recently we saw PTCRB listing Xperia Z1 initial 14.1.G.1.518 firmware which was seen in all stock devices at IFA 2013. 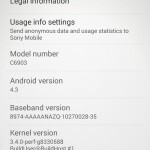 Just now an XDA member from “Untitled Xperia Team” UXT has posted the latest firmware for Xperia Z1 even though it is not listed on PTCRB also. 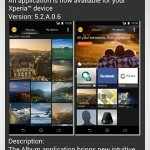 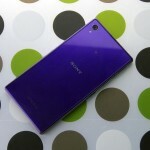 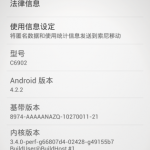 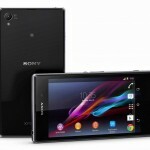 14.1.G.1.526 firmware for Xperia Z1 has been posted at XDA for downloading, claimed as the most latest update for Xperia Z1 C6902 / L39h HSPA+ version. 14.1.G.1.526 firmware is extracted from “EMMA” software so it means if you have Xperia Z1 with you then you will be able to update only 14.1.G.1.518 firmware via PC Companion or SUS. Well if you have got your Xperia Z1 or you are going to have it, update it on latest 14.1.G.1.526 firmware and let us know about its performance and updates as compared to original stock firmware.